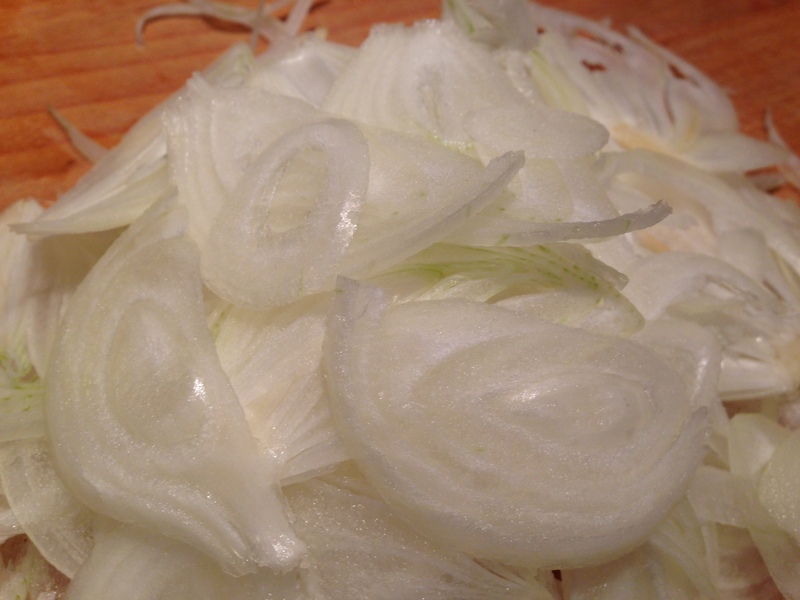 I tried out this side dish when reviewing Magnus Nilsson’s Fäviken cookbook. It’s really delicious. 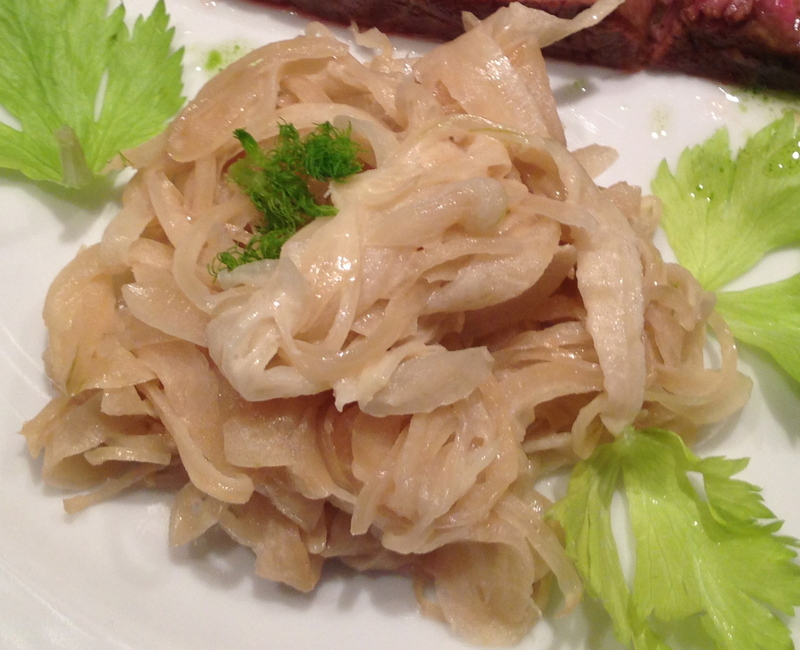 The onions are sour in the way that yoghurt or a fresh, sharp cheese can be sour, without any cheesiness. They aren’t sharp, they just have a really interesting savoury flavour. Although you’ll need a bit of time to produce your whey, you don’t have to actually do much to make that happen. This is a very quick dish to cook, but its elegance and interest belies the lack of effort. In the morning, pour your yoghurt into a sieve lined with muslin over a bowl, and place in the fridge. It is difficult to be precise about how much yoghurt to start with, as it all depends on how thick it is already. My sheep’s milk yoghurt was very thick and I drained 500g for 12 hours to obtain 150ml of whey, but would expect to yield about twice as much from runnier yoghurt. Nilsson specified clear whey, but if yours is yellowish don’t worry, the recipe will still work. Slice the onion very thinly. I used a mandoline. 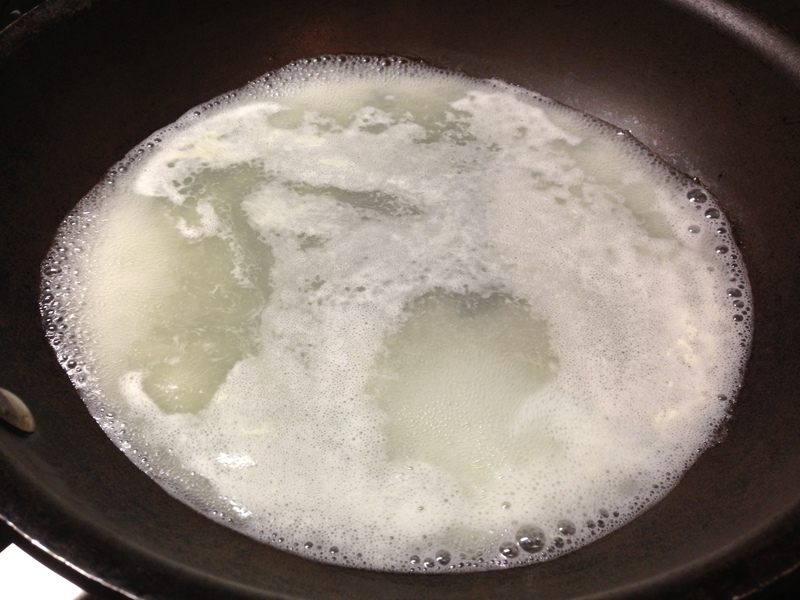 When you are ready to cook, heat the whey in a pan and reduce it to 1/10 of the original quantity. Keep an eye on it and try to go slowly so that it doesn’t darken too much. The final dish should be as pale as possible. Add the onions and a little butter to the pan and cook them for 5-10 minutes, turning them very gently with a heatproof rubber spatula so as not to break them up. Do not allow them to brown. When the onions are soft but still holding their shape, stir in the cream. Do not add any salt. Nilsson recommends serving them immediately, but any leftovers can be re-heated. Although they don’t have quite the subtlety of the fresh dish, they are still delicious. 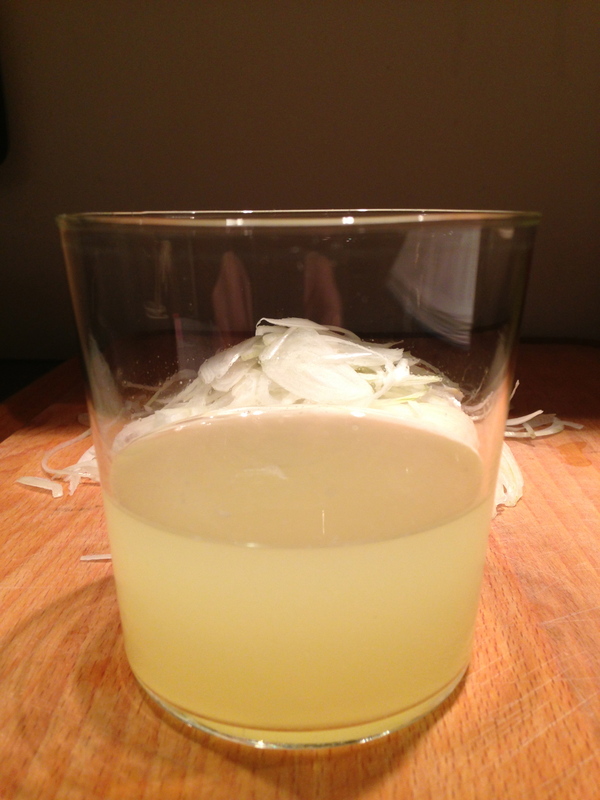 I’ve also used them as a really fabulous garnish in a soup that I might usually have served with a dollop of sour cream.